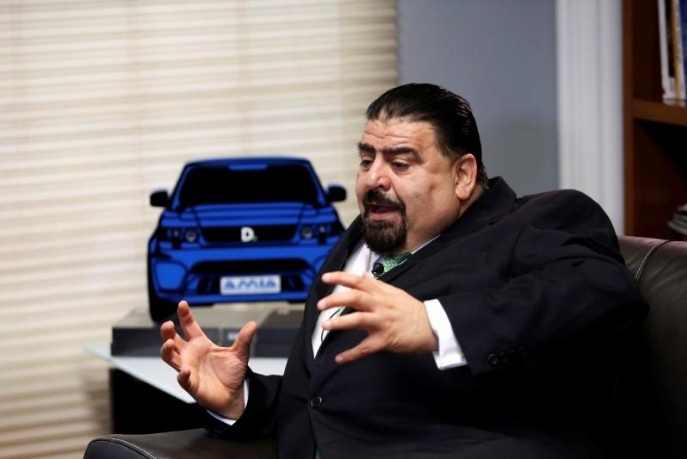 FILE PHOTO: Eduardo Solis, President of the Mexican Automotive Industry Association (AMIA), gestures during an interview with Reuters in Mexico City, Mexico May 22, 2017. MEXICO CITY - The Mexican Auto Industry Association (AMIA) on Thursday rejected U.S. proposals to increase North American content for autos produced in the region and require, under a new NAFTA deal, that half of all content come from the United States. Global automakers including General Motors Co, Ford Motor Co, Fiat Chrysler Automobiles and Volkswagen AG all have plants in low-cost Mexico. The Mexican Auto Industry Association (AMIA) on Thursday rejected U.S. proposals to increase North American content for autos produced in the region and require, under a new NAFTA deal, that half of all content come from the United States.